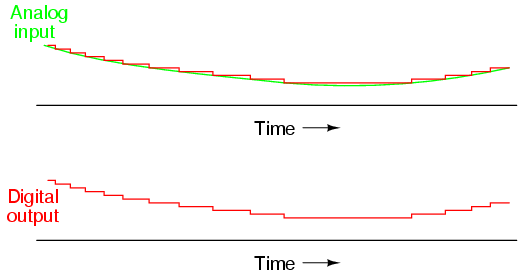 Not only is the flash converter the simplest in terms of operational theory, but it is the most efficient of the ADC technologies in terms of speed, being limited only in comparator and gate propagation delays. Unfortunately, it is the most component-intensive for any given number of output bits. 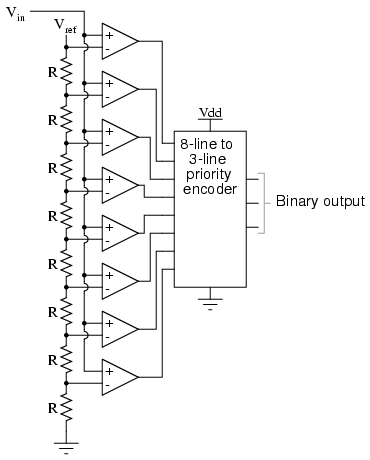 This three-bit flash ADC requires eight comparators. A four-bit version would require 16 comparators. 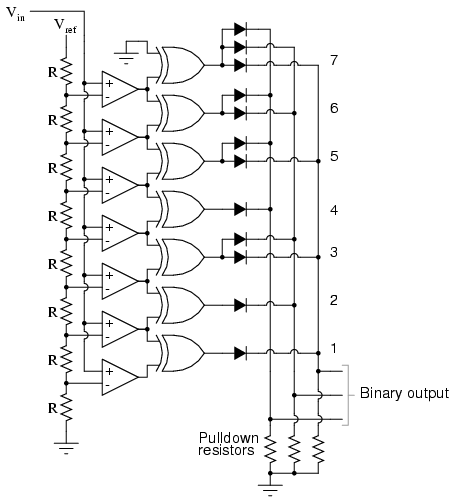 With each additional output bit, the number of required comparators doubles. 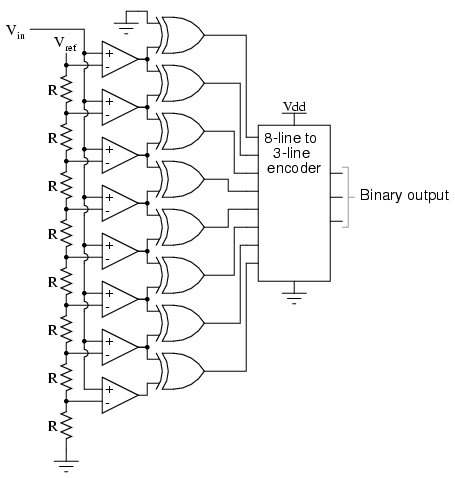 Considering that eight bits is generally considered the minimum necessary for any practical ADC (256 comparators needed! ), the flash methodology quickly shows its weakness.